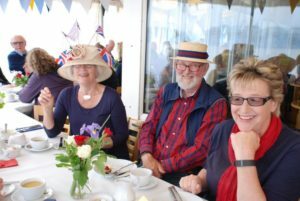 Norfolk Broads Yacht Club hosts many social functions through the year, which can be enjoyed by our members and their guests. During a typical year, events are organised both by the local Class fleets and the Club itself. The club hosts a wide variety of entertainments, from classic “Black Tie” formal dinner to bistros, informal suppers and live bands. Wednesday evening is always popular during the season because of the informal racing, as well as the classic fish and chips supper. It’s an opportunity to meet friends in the bar and enjoy the view. This year we will also be continuing with our Friday evening ‘Club Night’ with lots of activities to look forward to – try a session of paddle boarding, sailing remote control yachts, improving your power boat handling skills or visit our NBYC Gin and Beer Festivals! The highlight of the year is always Wroxham Week, which in 2018 runs from 28th July until 5th August. The week is packed with entertainment for both adults and children and ends with a spectacular End of Regatta Party on the Saturday night. 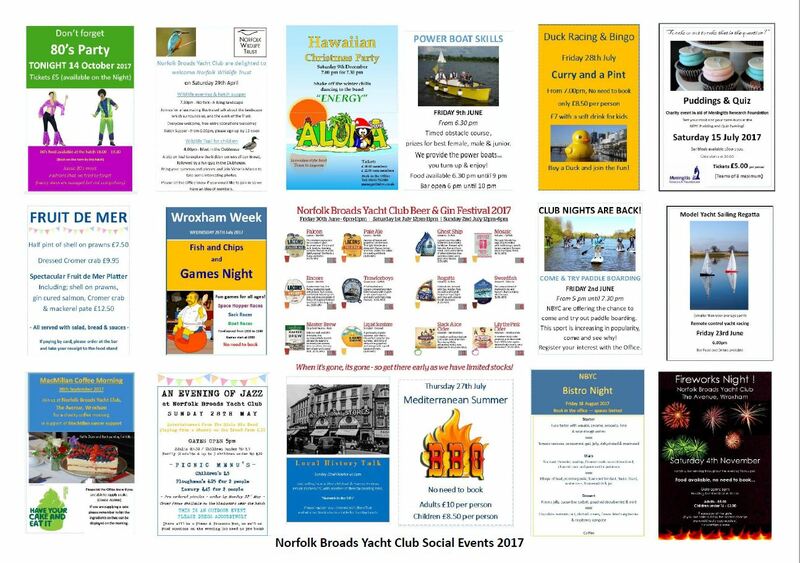 Details of the social events for 2018 can be found in the Club Programme. Also look out for posters around the club during the season, highlighting upcoming events. If you want to see some of the fun things we did in 2017 take a look at this link.